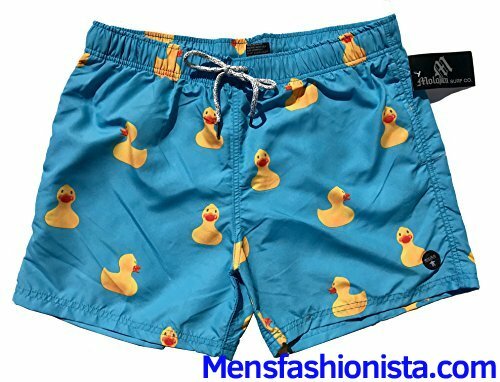 Due to popular demand, Molokai swim trunks are now being sold on Amazon! The trunks include many styles and fit comfortably. All trunks are made of polyester have an elastic waist and inner mesh lining. They can be easily machine washed. Great for the beach and the summer. We’ve included some of our many really fun and cool designs to choose from and will ship immediately once the order is placed. You can match up with your significant other with identical styles! Search ‘Molokai womens swim trunks’ and check out our women’s styles as well!Official Molokai Hot Tub Volley swim trunks! NEW NEW NEW styles include Pineapples, Swans, Popsicles, Sailboats, and more!!! Great for the beach but also for running, training, and working out. Numerous designs to choose from. Sizes S-XL available. We suggest one size up if you like it loose. Elastic waist and stretch fit and includes mesh lining. You won’t feel tight in them. If loose, it can be easily tightened. Trunks are short and just above the knee. They’re also quick dry and has three pockets. Feel free to pair up these shorts with our shirts! Type ‘Molokai surf’ in Amazon search and you’ll come across our fun shirts with similar designs including pizzas, donuts, and more! You can also match up with your significant other with identical styles! Search ‘Molokai womens swim trunks’ and check out our women’s styles as well! Special note: Rubber Duckies are now in stock!! !